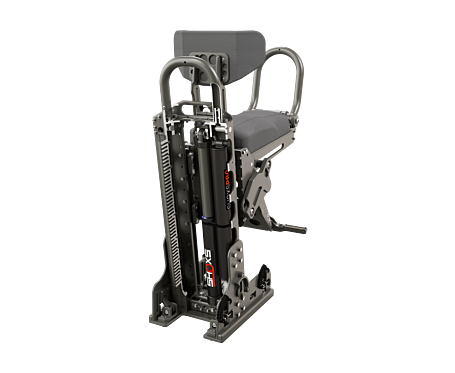 A rear-mounted marine jump seat with built-in suspension for ultimate shock absorbing safety. 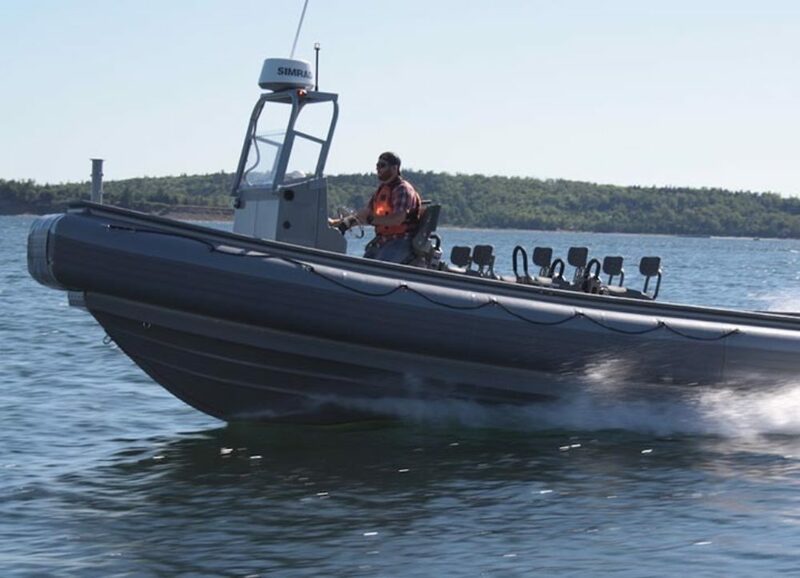 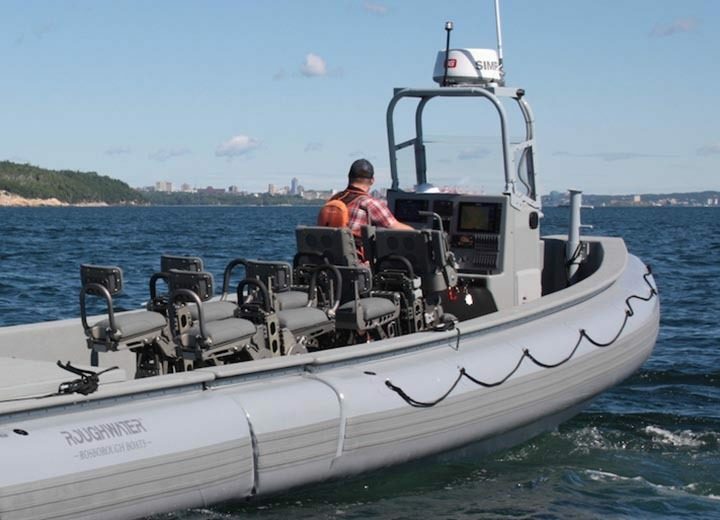 The SHOXS 5705 is a rear-mounted jockey style seat ideal for crew and passenger seating in open boats and RHIBS. 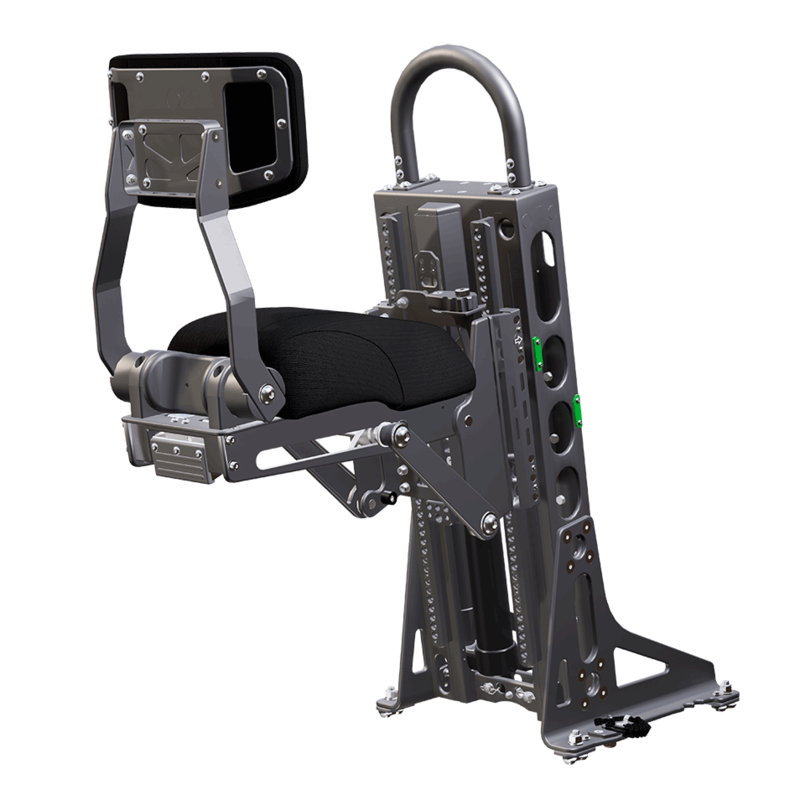 A drop down seat base allows the 5705 to stow in seconds, and an optional SHOXS TRAXS installation allows the seat positions to be reconfigured easily, allowing more cockpit space for movement or gear. 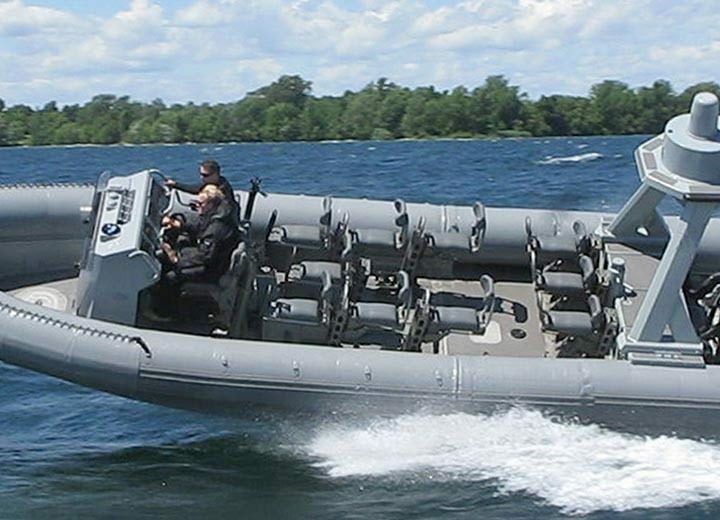 A compact design means the 5705 is purpose built for high density layouts, and maximizes the seating capacity for passengers or crew to ride comfortably. 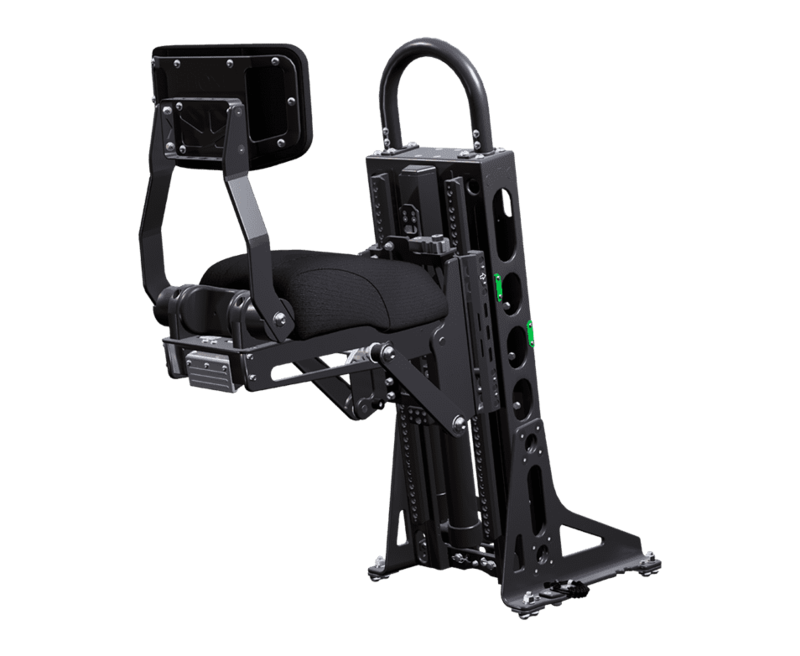 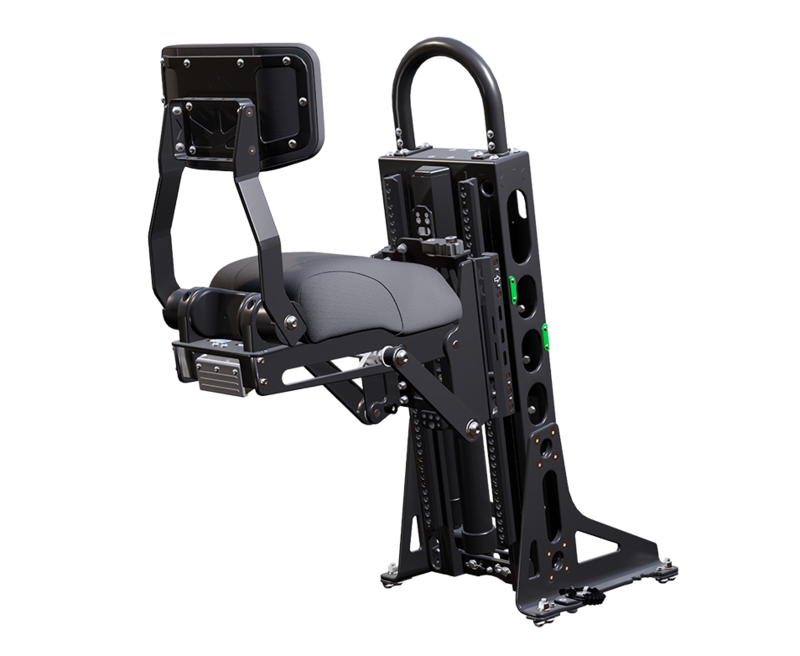 SHOXS 5705 can be combined with front-mounted jockey seats to create an integrated shock-mitigated seat system.